By contrast, around 370 years ago in Early Modern Europe, there were no such delights ready to hand. Can you imagine living in a time when you couldn’t even hear a cat version of the Elizabethan age’s greatest hit, “Greensleeves“? Undeterred by the lack of radio stations playing seasonal music 24 hours a day starting in October, great men of learning were putting their titanic intellects to work, dreaming of the possibilities inherent in musical cats. 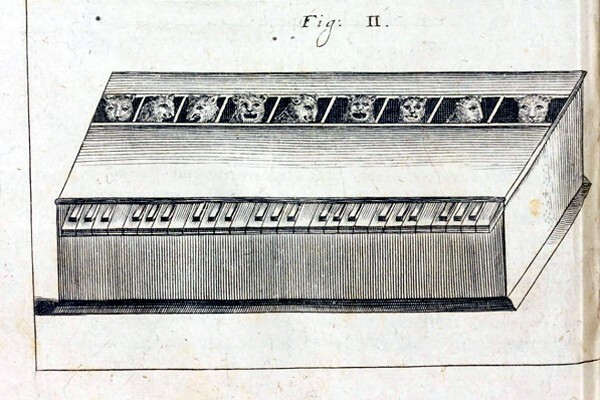 This is the story of the cat piano, a wondrous and bizarre musical instrument first described at length by this man, Athanasius Kircher, during the heady and exciting days of the Scientific Revolution. When I told one of my pals that I was writing about the cat piano, she excitedly remarked, “Oh! I have that app on my phone!” and began to reach for it. “No,” I mansplained, “while I’m sure that piece of mobile technology is interesting and amusing, I am, of course, referring to the katzenklavier, a theoretical device from around 1650.” Cat piano is only a loose translation of katzenklavier, as the piano itself wouldn’t be invented for another 50 years, give or take. 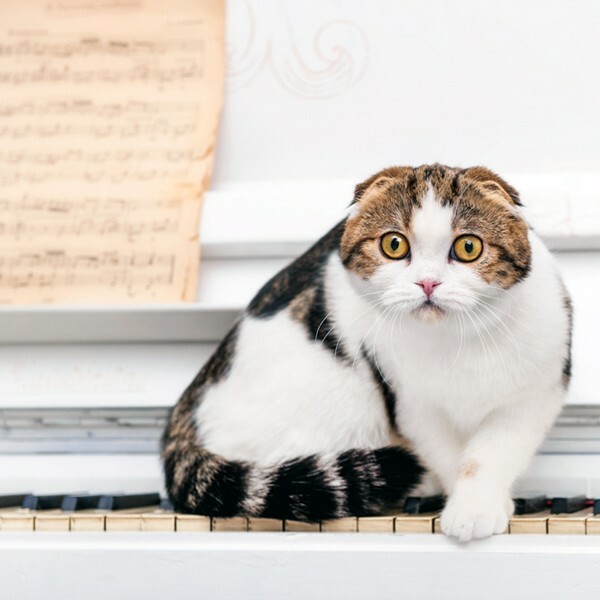 The term can also usefully be translated as “cat keyboard” or “cat organ,” but we’ll stick to “cat piano” for the sake of convenience. 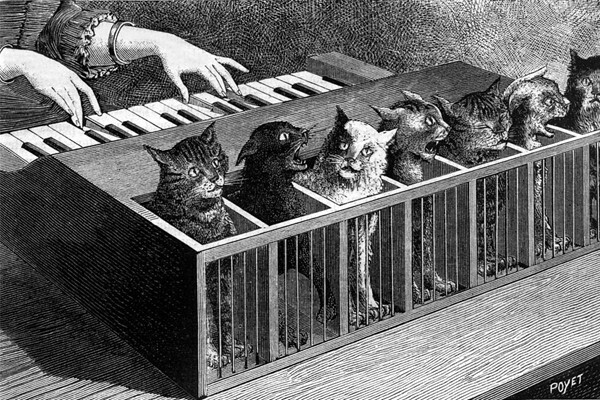 Similar to the smartphone app my friend mentioned, the cat piano Kircher wrote of was intended to create music using the voices of cats. Of course, Kircher lived several centuries before cat song could be synthesized and auto-tuned. Given the technological limitations of the era, intrepid inventors had to think more practically when it came to involving cat voices in musical performance. The cat piano’s proposed functionality gave it, even in theory, an unseemly, even gruesome, twist. 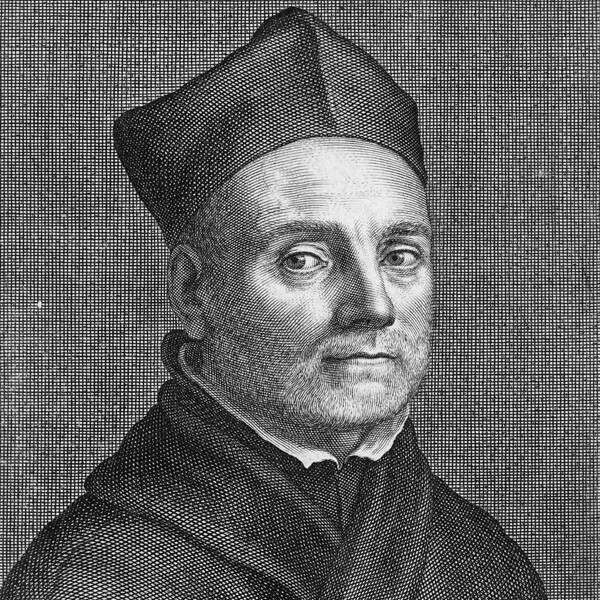 There is no doubt that Athanasius Kircher was brilliant. Born in what is now Germany, he was a Jesuit priest during a time when men of religion were also men of science. He spoke and taught several languages, and he worked in fields as diverse as Eastern and African cultures, ethics, geology, mathematics, mechanical engineering, medicine and music. His greatest contribution to the latter was Musurgia Universalis (1650), a favorite book of composers that included Johann Sebastian Bach and Ludwig van Beethoven. A massively influential work, it surveyed multiple topics, including the ways sound functions and the ways music affects people. This is where the cat piano comes in. Kircher tells a story about an Italian nobleman afflicted with melancholy, or what we might today call depression. Seeking a solution to his spiritual malaise, a musician came to him with a fantastical device, the katzenklavier. It looked very much like the keyboard instruments of the day, with the exception that, along with the a simple row of strings and hammers, it also contained a lineup of cats. As the musician played the cat piano, the cats yelped and yowled in their turn. The music thus produced wasn’t particularly beautiful, by any measure. Among the ranks of weird instruments that were probably employed to bring this nobleman out of his doldrums, the cat piano alone achieved the desired effect. This performance of the katzenklavier reportedly could not stop laughing, and he found his spirits raised. Pardon the musical pun, but I’ve strung you along quite enough. As fascinating as this narrative is, it’s time to describe the engineering principle that gave the cat piano its functionality, and I have to say, it’s unseemly at best, completely cruel at worst. As described by Kircher, the instrument itself had compartments for the cats in the chorus, including a sheath dedicated to each of the cats’ tails. When the keys were played, hammers with sharpened ends drove the spikes into the corresponding tails. This was not the cats playing the piano as much as it was the piano playing the cats, and not so much cats singing as howling in pain. While the mechanism and its mode of operation are startling, if not utterly horrifying, to contemplate, there are two important factors to consider. First, although the katzenklavier is described in detail, by Kircher and a host of earlier and later authors, there is no evidence, aside from woodcuts and engravings, to suggest that such a device was ever constructed. The second factor is the price of progress in less advanced times. There was no real concept of animal rights, nor even of universal human ones. As a discipline, social contract theory — those fundamental understandings of how we conduct ourselves so that we don’t just go around hurting everyone and everything, willy-nilly — was still in its earliest developmental stages. Even the great and the good needed to be reminded that no matter how closely their lives were tied to those of animals, there were no structures or guidelines for human-beast relationships. Without the acceptance, or even acknowledgement, on the human side that domestic animals of any kind had any choice in the way their lives played out, how could there even be a concept of cruelty toward them? For early modern people of learning, such as Hobbes’ contemporary Athanasius Kircher, there were few limits — theoretical or practical — set upon their exploration or invention. That’s not to say that their free-wheeling imaginations weren’t criticized or lampooned during their own historical period. The cat piano, as bizarre as it was, bears striking similarities to inventions chronicled by Jonathan Swift in Book 3 of the satirical Gulliver’s Travels (1726). The experiments of the projectors included one in which air-bellows were set into dog anuses as a way to cure colic. The Scientific Revolution and the Enlightenment which followed it were eras of nearly endless possibility. As we’ve seen with the cat piano, however, possibility unchecked can easily devolve into grotesque parody and violent cruelty.